How time flies. 2 weeks have gone and today Bev has come up with have a lovely sketch for you at the LOTV Challenge Blog. I dont usually go with these colours but bought a new Papermania Pad and although I dont use them much, I love gingham papers. My LOTV image has been coloured with Copic Markers and cut out with Nesties. 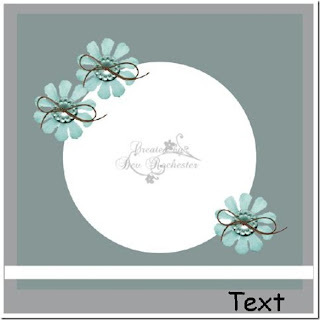 The Flowers and lace are from my stash and I've added lots of stickles to both the flowers and the flowers on the image. The leaves and butterfly are both punched. Got a bit happy with the camera. It was so nice outside I took my card into the garden in the end. Its so nice to be back crafting and I'm blog hopping when I can. My hubby has taken today and tomorrow off to spend time with us all before they go back to school next week. I'm sure we will venture out somewhere. Poor Jessica went back on Monday and is sitting her Textiles exam over the next 2 days. Shes such a wonderful artist. I'll have to post some of her work here one day. Doesn't get it from her mum, thats for sure. I dont go beyond stick men. Anyway, enough of me rambling, here are some other challenges my card fits into. LOTV Shop, and there is also going to be a new set of Cute Cats and Dogs with sentiments released the same day! Me and the rest of the DT will be showing more sneak peaks very soon! I bought this papermania pad yesterday!!! Love the rich colours. You have used it perfectly an dI love all the sparkle on your flowers. th eimage is so gorgeous. What a beautiful card, lovely colouring!! This card is adorable and I love your choice of papers too, mmmmm gingham! This is totally gorgeous. Wonderful colours and papers and a beautifully colored image. The flowers are magnificent. This is a stunner. This is so pretty claire, love your choice of image and papers. Your card is beautiful! I love these colours. The image is so cute and coloured perfectly. Enjoy your family time before school starts again. Gorgeous card Claire, love the bright, vibrant colours- gorgeous and the image is adorable- so sweet!!! This is stunning! I love that image and all your details!!! Hi Claire, wow youve created a really beautiful card with this image, it might not be usual colour combo but you really have created a stunning card with them, and the flowers are beautiful. Good luck for your daughters Exams and I would love to see her work, hope you will show to us sometime. Gorgeous card Claire, love the papers and such an adorable image. What a sweet and cute card, so wonderful! Great details and colours. Gorgeous! Love the fun colors adn that image is oh so cute. Your card is just lovely! I love this image and the DP and flowers you used are gorgeous!! Winderful job withthe color inspiration!! Thank you for joining us for this weeks "Prairie Fairy Fun Friday‘s" challenge! I look forward to seeing more of your incredibly Fabulous crafty works in the future! I invite you to hop on over and enter in my candy give away!! Beautiful card Claire!Love the papers and the image is so sweet! Holy smokes this is gorgeous! Everything about this card is amazing! Thanks for entering Fairy Fun Fridays! Such a beautiful card.. I really love the darling little LOTV image.. and the color combo is wonderful..Very lovely..Thanks for joining us at Creatalicious.. Wonderful card Claire, adorable image and gorgeous colours. Beautiful card Claire! You did an amazing job with the sketch! Such gorgeous coloring! I love all the oranges! Thanks for playing along with the FBW challenge this week!! Such a super beautiful card!!!! Very cute and sweet!! I love the choice of colors and your take on the sketch as well!! A fabulous card Claire, the image is adorable and I love the gorgeous papers and flowers. Such a beautiful card.Very lovely. Adorable,your colours and details are so beautiful!!! Thanks so much for joining us at Creatalicious!! Absolutely stunning, love the layout. This is beautiful Clare. The papers are really wonderful and look lovely with your image! Claire this is absolutely gorgeous! Love your sweet image and those colours are fabulous! Good luck to Jessica and have a great time together this weekend! What a darling and oh so cute card! Thanks for playing along with my flutter by challenge! Really pretty card and super-cute Image. Thanks for playing at Magical Crafts. Wow! Your card is so beautiful Claire, I adore the colouring on the image! THis is adorable!!! I love the color scheme and layout!! That image again is so cute!! Love this card! This is just darling. You sure know how to cover the challenges girl. I admire your skill. lol!